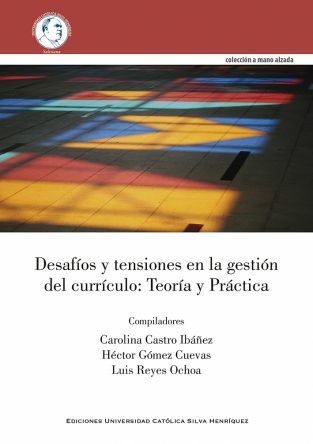 Carolina Castro, Héctor Gómez, and Fernando Murillo, co-authors in the recently published book Desafíos y Tensiones en la Gestión Curricular: Teoría y Práctica [Challenges and Tensions in Curriculum Management: Theory and Practice] in Chile, will present their contributions to the discussion of curriculum design, development and implementation in the contexts of schools and higher education. The book, co–edited by Gómez and Castro, gives voice to a variety of perspectives and experiences in schools and higher education. In this regard the authors ask: How is curriculum managed? Who is involved in the process and how? What authority do curriculum managers have, and how is power distributed in order to influence and make decisions on the curriculum? What effective spaces for innovation exist? How are perennial and new issues considered in the management of curriculum? 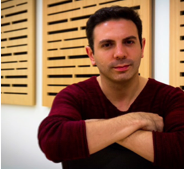 Bachelor in Education – Primary School Teacher, Master of Arts in Education and Curriculum. 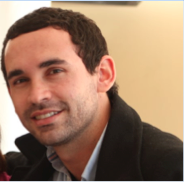 Head of the Curriculum Unit at Universidad Católica Silva Henríquez in Santiago, Chile. 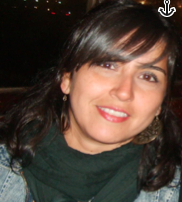 Teacher Education in Chile: Curriculum design and its Complex Discourses. Should schools move away from grading students? Yes! Of course, it’s a time “honoured” tradition to use grades as the key means of sorting students to meet the demands of business. But, if you’re more more interested in motivating students to learn and less interested in treating education like a commodity, there’s really little room to debate the point. School boards in Ridge Meadows, BC and Battle River, AB have decided to stop giving percentage grades to their students. The Vancouver Sun recently ran a story on the Ridge Meadows Schools (Maple Ridge and Pitt Meadows BC) that have adopted an alternative approach to student assessment in which elementary teachers are no longer required to give letter grades to students. Rather than assigning As, Bs or Cs to kids from grades 4 to 7, teachers can instead use the conference model to assess how well children are grasping course material, as well as their learning style, readiness to progress and comprehension of overall concepts. The standard reporting system does not assign letter grades for students in kindergarten to Grade 3, but under the new system, students in all elementary grades will be invited to participate more fully in their evaluations by completing self-assessments and setting future learning goals. The alternative system will engage students while providing more meaning to parents than a simple letter grade, said Ridge Meadows school trustee Susan Carr, who has two children in the school system. In Alberta, the Battle River School District’s has adopted an alternative grading system that replaces percentage grades with categories. Camrose, AB parents don’t seem to be has uniformly positive about Battle River’s decision as about 150 recently protested the move. Today on CBC Radio’s The 180 with Jim Brown, Sandra Mathison, a UBC education professor and member of the Institute for Critical Education Studies discussed the issue of grading students and provided some sharp counter-point to Michael Zwaagstra, a high school teacher who is affiliated with the Frontier Centre for Public Policy (a Fraser Institute clone that is primarily funded by right-wing outfits like the Donner Foundation). The Frontier Centre and Zwaagstra’s views on education get a lot of play on the editorial pages of Vancouver’s daily papers, both of which prominently embrace and espouse neoliberal public policy, which places the interests of corporate capital and their shareholders over the interests of people. It was interesting to hear Zwaagstra shift to center when confronted with Mathison’s counter-point. Get the podcast of this episode of The 180 with Jim Brown here. Founded in 1990 by Princeton graduate Wendy Kopp, Teach for America (TFA) has grown from a tiny organization with limited impact to what some supporters call the most significant force in educational reform today. Indeed the organization has recently been embraced by both the president of the National Educational Association and U.S. Secretary of Education Arnie Duncan as a force for tremendous good. Critics argue otherwise, pointing to data that is mixed at best while questioning the almost $500 million annual operating budget of the non-profit, a significant portion of which comes from U.S. taxpayers. In light of questionable results and practices (such as using non-certified TFA recruits to work with special education students in direct violation of the Individuals with Disabilities Education Act) organizations are working to end TFA’s “highly qualified teacher” provision in 2013, an effort TFA is aggressively trying to thwart. In an effort to provide assistance to those organizations working to maintain the integrity of the teaching profession, the Critical Education seeks research on TFA’s practices, procedures, outcomes, and impacts. We are looking for empirical and theoretical pieces written in a style that congressional staffers can easily access and understand. We are not interested in pieces that sacrifice intellectual rigor for ease of reading, but we are also wary of overly theorized pieces that alienate readers outside of the academy. Proposals of no more than 200 words due by September 15, 2012. Final Submission due by February 1, 2013. Critical Education is an international peer-reviewed journal, which seeks manuscripts that critically examine contemporary education contexts and practices. Critical Education is interested in theoretical and empirical research as well as articles that advance educational practices that challenge the existing state of affairs in society, schools, and informal education.